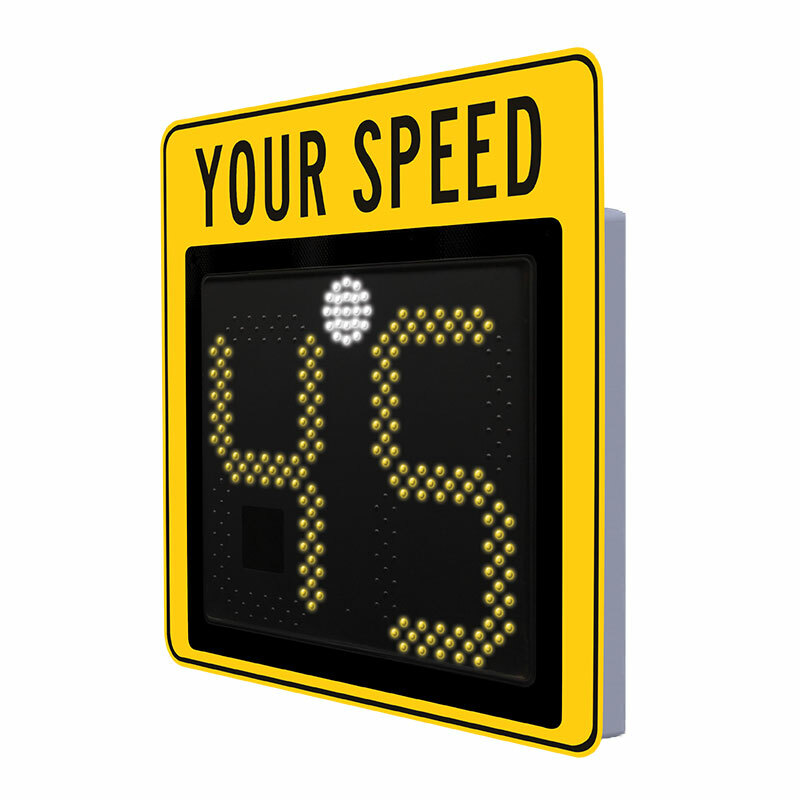 The SafePace 450 speed display sign offers a portable speed solution that doesn’t compromise on digit size or visibility. The innovative sign displays vehicle speed in full 38 cm LED digits at a weight of only around 11.3 kg (depending on options) and can be seen from up to 1000 feet away. Using optional battery power, the sign can function autonomously for up to two weeks. With a full range of features including intuitive programming, low power consumption, vandal resistance, and universal mounting brackets, the SafePace 450 is the lightweight sign with full size impact.